I’ve been seeing these “X day/week art/photography challenges” and thought I’d make my own! 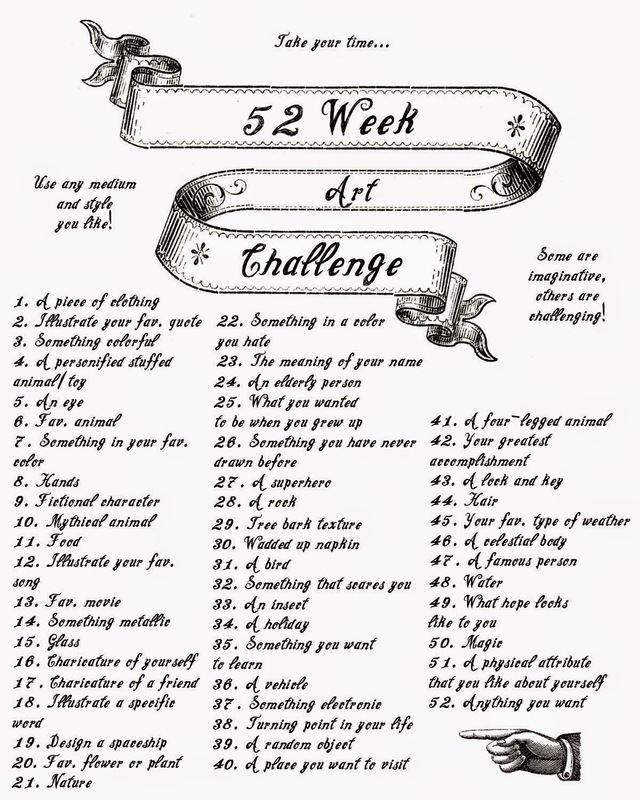 I preferred the 52 week challenge idea, rather than the every day challenge. Since I wanted to have enough time to create quality art and not just doodles. Plus I don’t like feeling pressured. Feel free to join me! Save this graphic, print it off, whatever you want to do with it. I’ll try and be faithful with my postings for this. 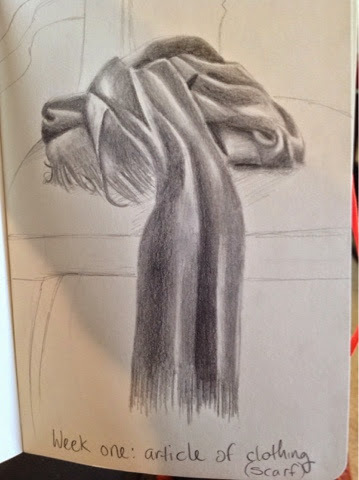 Here is my first week sketch! I know I’m late, as usual, but at least I finished it. I’ll probably finish week two today as well so I don’t put it off. 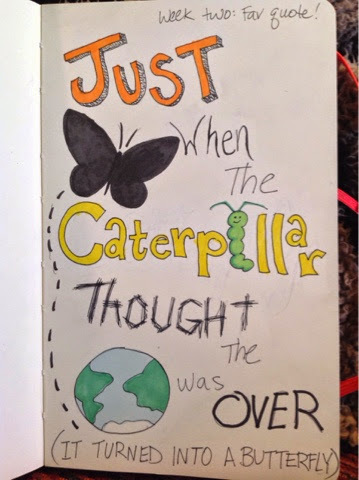 I’m drawing in a smaller sketchbook to keep it as a journal. So, I’ll be photographing them, rather than scanning them, since I don’t want to tear them out. I’ll be posting the 52 week challenge on there as well! I’m posting week two fairly early since I don’t want to get behind again. Nothing particularly special about this, other than it being my favorite quote. This one is more of a doodle, but I find it therapeutic sometimes to just doodle. So I admit I’m not the best at taking pictures of my art. But nonetheless, here is week 3. This week’s challenge was “Something Colorful”, so I drew butterflies on a tiger lily (one of my favorite flowers). First time in years I’ve used colored pencils, but that’s what I decided to use. Check back next week for my next challenge! Ok, so I kind of cheated on this one. I had previously drawn this several weeks ago, but just never finished it. So that’s what I did today. This is based off of one of my old cat stuffed animals that came out in the 90s (with the rattle inside–did you have one?) I think they re-released them years later. 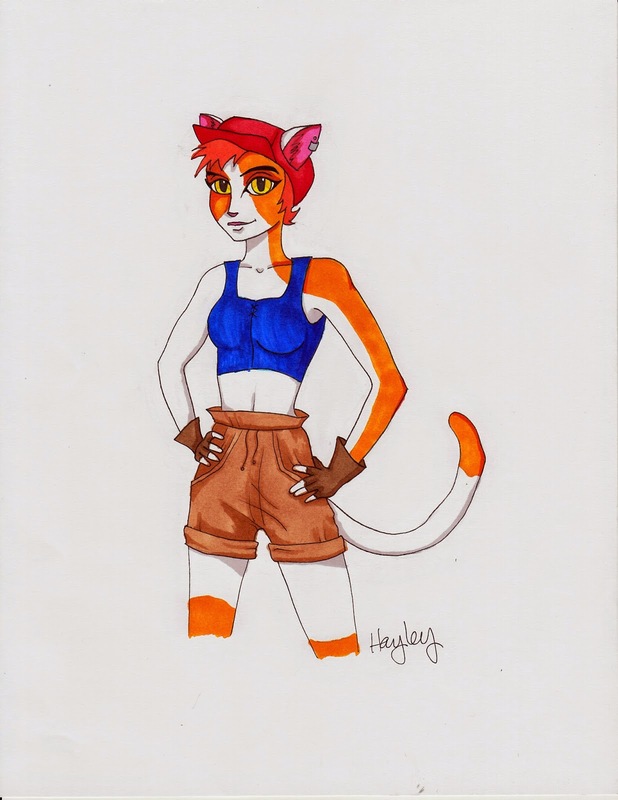 Her name is “Fluffy” and I drew her clothes and body language based on what I had imagined her personality to be when I was a kid. The real Fluffy looks awfully beaten up from all the hours of playtime. Will the real Fluffy please stand up? Signup now and receive a free printable!